As the world’s Jewish fraternity, Alpha Epsilon Pi is proud to include an International Rabbi among its international lay leadership. Alpha Epsilon Pi’s International Rabbi acts as the organization’s spiritual leader and advisor to lay leadership and professional staff. Led by the International Rabbi, the Council of Rabbis endeavors to support and enhance the Jewish identity and Jewish values of AEPi brothers on the international, national, regional and local levels in accordance with the mission of Alpha Epsilon Pi. The Council of Rabbis is comprised of AEPi brothers who are ordained rabbis from a cross-section of Jewish backgrounds, denominations and geographic regions. Rabbi Schneider currently serves as the International Rabbi of Alpha Epsilon Pi. Schneider is the Director of ProjectCORE, the campus initiative of the New York Center for Civil Justice, Tolerance & Values. Schneider previously served as the Executive Director of the Manhattan Jewish Experience and as the Director of Programs at Aish HaTorah Jerusalem. Prior to Rabbinical School, Schneider served as an AEPi Field Secretary colonizing/recolonizing on 17 campuses and then as a software engineer for a healthcare technology startup. 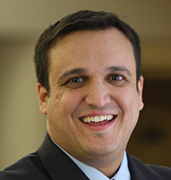 Rabbi Schneider has also led AEPi Jerusalem Road Trips, the AEPi Supreme Mission to Israel, and the Hineni Jewish Identity Conference and currently serves as an AEPi Regional Governor. 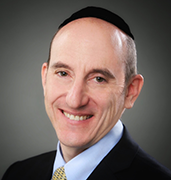 Rabbi Denbo is the Director of KLAL, an educational leadership institute in Los Angeles. He is the founder of AEPi Jerusalem Road Trips and spearheaded the partnership between AEPi and Aish HaTorah. 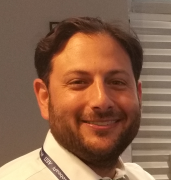 Denbo previously served as an AEPi Assistant Regional Governor, created the Hineni Jewish Identity Conference and continues to serve as a Hineni Rabbi-in-Residence each summer. Rabbi Denbo has served as the West Coast Development Coordinator of American Friends of Migdal Ohr and published the book “7 Traits: How to Change Your World” in 2015. Rabbi Goodman has served as the Rabbi & Executive Director of Santa Barbara Hillel since 2009. During his tenure, Goodman has served as a leading voice on issues concerning Israel and anti-Semitism on campus. Each time BDS resolutions have arisen at UCSB, Goodman has worked with students to ensure their defeat. Goodman serves in the leadership of the Pacific Association of Reform Rabbis and the Santa Barbara ADL, and has been honored with Hillel International’s Richard M. Joel “Exemplar of Excellence Award” and AIPAC’s “Ally of the Year Award.” Prior to his role at Hillel, Goodman served as a congregational Rabbi for 16 years. Rabbi Kamrass has served as the Senior Rabbi of the Isaac M. Wise Temple in Cincinnati for 3 decades. He has also served as the President of the Cincinnati Board of Rabbis and in lay leadership of the Jewish Community Relations Council, Jewish Federation of Cincinnati, Center for Holocaust Education and Hebrew Union College President’s Rabbinic Council and Rabbinic Board of Alumni Overseerers. 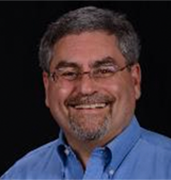 Rabbi Kamrass currently serves as a Board Member of the Hebrew Union College-Jewish Institute of Religion, and has also served on the Board of Trustees, Executive Committee, and Youth Committee of the Central Conference of American Rabbis and as AEPi’s International Rabbi from 1986-1989. Rabbi Klein has served as the Director of the Tannenbaum Chabad House in Evanston, Illinois for the last 31 years. 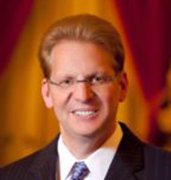 He has led over 30 Birthright Israel trips, serves as the Senior Chaplain of the Evanston Police Department, and has previously served as the Illinois State Representative for the International Conference of Police Chaplains and as an AEPi Assistant Regional Governor. 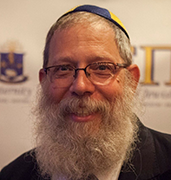 In addition to spearheading the relationship between AEPi and Chabad on Campus and the new AEPi-Chabad on Campus Bar Mitzvah Initiative, Rabbi Klein serves as an Advisor to the Tau Delta Chapter. In, 2010 Rabbi Klein offered the invocation before the U.S. House of Representatives. Rabbi Lebovitz became the Rabbi of Adat Shalom in Los Angeles in 2016 after a 10-year career in the film industry. While in Rabbinical school, Lebovitz became a national board member of MERCAZ, served as a delegate to the World Zionist Congress in Jerusalem and participated in the AIPAC Leffell Fellowship for Rabbinic Students. In 2013, Lebovitz merged his passions for Torah and film to create “Roadmap Genesis,” a documentary that shows how the Book of Genesis remains relevant in society today. Interviews in the film range from Gov. Mike Huckabee to Rabbi David Wolpe, from Alan Dershowitz to the late Archbishop of Chicago Cardinal Francis George. 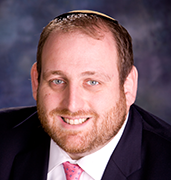 Rabbi Levy has served as the International Director of United Synagogue Youth (USY) since 2012. Prior to joining the USY international staff, Levy held roles on college campuses for 6 years, first as the Hillel Rabbi at Syracuse University and then as the Hillel Director and University Chaplain at Colgate University. While at each of those campuses, Rabbi Levy served as a Chapter Advisor to the AEPi chapters. Rabbi Levy has also served as Director of Admissions for The Rabbinical School and H. L. Miller Cantorial School and College of Jewish Music at the Jewish Theological Seminary and is also a recipient of Hillel International’s Richard M. Joel “Exemplar of Excellence Award”. Rabbi Miller serves as the visiting Rabbi at Congregation B’nai Israel in Sylvania, Ohio, a member of Rabbis Without Borders, and a speaker and writer on technology and its effect on the Jewish world. 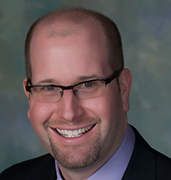 He has previously served both Conservative and Reconstructionist congregations and as Rabbi & Associate Director of the University of Michigan Hillel. Miller is a contributor to Time Magazine, Huffington Post, JTA, The Forward, MyJewishLearning and Times of Israel. 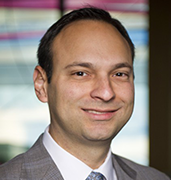 He has also served in the lay leadership of the Michigan Jewish Sports Foundation, Kadima, Jewish Federation of Metro Detroit’s Family Circle and the Jewish Gay Network of Michigan. Rabbi Miller was a keynote speaker at AEPi’s 2010 Convention. Rabbi Tilman became the Rabbi of Congregation Beth Israel in Scotch Plains, New Jersey in 2017. Tilman previously served as a Rabbi at the Jacksonville Jewish Center, where his roles included teen educational programming and Israel advocacy. Tilman has a decade of experience in the Camp Ramah movement and participated in the AIPAC Leffell Fellowship for Rabbinic Students. While in Jacksonville, Tilman was a leader in the Jacksonville Coalition for Equality and has also appeared in two episodes of Sports Jeopardy. Prior to Rabbinical school, Tilman spent 3 years as a producer for Sporting News Radio alongside the likes of Troy Aikman, Tony Bruno and Tim Brando. He has also served as a Rabbi-in-Residence for AEPi’s Hineni Jewish Identity Conference and as an Advisor to the Omicron Zeta Colony.